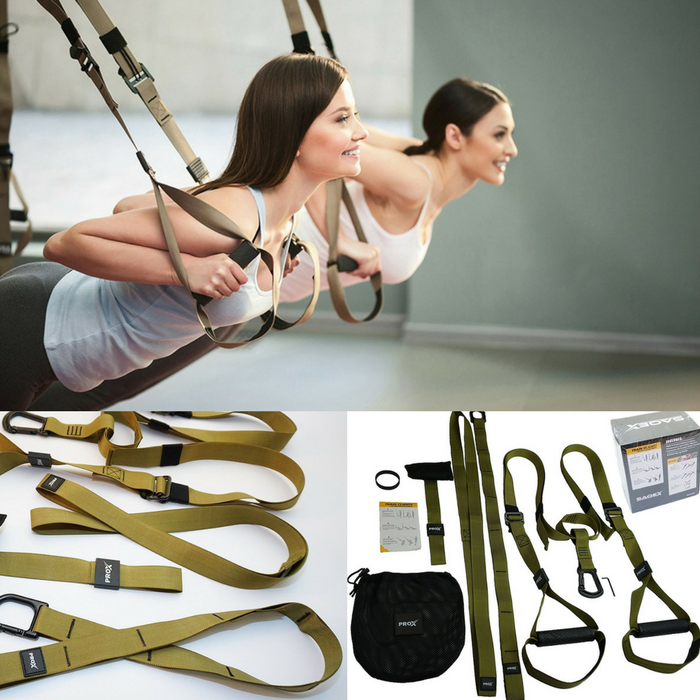 Bodyweight Resistance Straps Just $64.95! Down From $109! PLUS FREE Shipping! You are here: Home / Great Deals / Amazon Deals / Bodyweight Resistance Straps Just $64.95! Down From $109! PLUS FREE Shipping! At Amazon, you can get this Bodyweight Resistance Straps for just $64.95 down from $109 PLUS FREE shipping! Perfect for your home gym bodyweight resistance training! 55 inch to 75 inch adjustable straps. 38 inch assistance strap. PRO-X dynamic commercial nylon filament tests a load of 1750lbs. Durable straps will be able to hold body in any workout without fear of mechanical failure. Be confident in your grip regardless of how much you sweat or if you happen to be having a great workout outside in the rain. NON-SLIP WEATHER RESISTANCE RUBBER HANDLES: Be confident in your grip regardless of how much you sweat or if you happen to be having a great workout outside in the rain. EXCLUSIVE FULL BODY WORKOUT SYSTEM… SETUP IN SECONDS: Easy setup for your first time or if you need to install for each workout. Very lightweight, portable and convenient system for travel as well. Easy to keep clean and disinfect the items. TWO ANCHORS & STURDY NON-RUST COMMERCIAL GRADE CARABINERS: Be able to use the Pro-X body weight workout system at home, outside or attach to a steel beam, rafter, tree elevated point or new Saqex Steel Plate Bracket. Be self-assured in any workout routine your workout is safe regardless of the weight pulling by any person. FASHIONABLE MILITARY GREEN COLOR: Distinguished color of the body weight workout system is not a bright eye sore but stylish and trendy. Workout partners, friends and family will be wanting a fitness set of their own.